After 50 years, you would think we’d eventually tire of James Bond. But something about the way the films have evolved and grown over the decades, and still fundamentally remained the same, has left us coming back. We may not love every film of the series, but we have remained loyal through and through. But I’m sure a lot of us have felt the growing age of the series at one point or another. Skyfall tackles that age head-on. 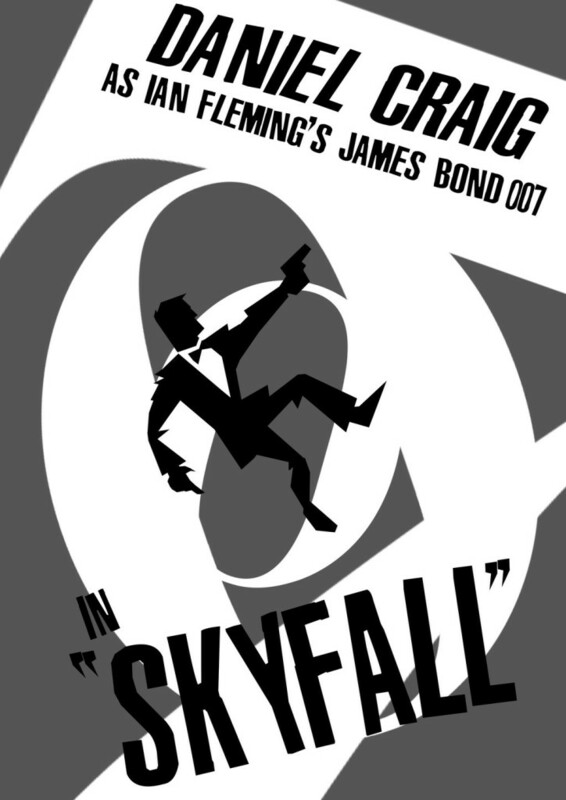 Unlike the tail ends of the Connery or Moore films, Sam Mendes entry into the Canon makes no attempt to hide the age of the series or its star, Daniel Craig, who was (and still is) 45 at the time of the film’s premiere. Most of the film centers on a battered and bruised 007, whose alcoholism and age is proving to be limiting. He’s not as strong anymore, he’s not as fast as he once was, and he can’t even shoot straight. Like the grand, old warship being hauled off for scrap, Bond is feeling the inevitability of time. The only question that remains is whether Bond can endure in the post-cold war environment. For most of us here at #Bond_age_, we can answer that question with a big fat “DUH”. We love Bond so much that we’ve dedicated a day a week to watch and celebrate a Bond movie. We will probably keep doing for years to come. We celebrate this series because the films offer glimpses into the eras they inhabit. But Skyfall is a film that joins that celebration while still fearlessly leaping forward into the future. Gone are the exploding pens of yesteryear, which are replaced with DNA encoded guns and radios. But the essence of the series remains intact. Bond, on the other hand, is struggling with his sense of self. Still shaving with a straight razor and MI6 is feeling the pressure from higher ups. In a world with no shadows, what use is there for a man like Bond when they have agents that can do all their work from a laptop in nothing but pajamas? Evolving with the times has always been a challenge for the Bond series. There was something so self-assured in the 1960s films that could arguably never be fully recaptured. By the 70s, the formula established by Goldfinger was already feeling a tad stale. Anyone remotely familiar knew the usual Bond trappings: Bond wraps up a previous mission, gets briefed by M for next mission, he investigates, sleeps with women, Bond gets captured, escapes, sleeps with more women, then beats the bad guy, and gets the girl. Wash, rinse, repeat. There was always some wiggle room and the series still produced gems from time to time, but for the most part, it was starting to get old. When Bond got the reboot, it was long overdue and it felt fresh and reinvigorating. But to some, it wasn’t the James Bond we once knew. The series had been suffering from an identity crisis for a long time, but long-time fans really took note after the paltry reception of Quantum of Solace. But Skyfall eased their conscience. The film plays the familiar beats that series has been known for, but it somehow made them feel fresh and shiny again. James Bond and MI6 both embrace their former glory and how it has come to define them. “Made weak by time and fate, but strong in will; to strive, to seek, to find, and not to yield”. Bond and M of course hop into the legendary 1963 Aston Martin and drive to the crumbling estate where Bond was orphaned. A tragic past that has come to define the character we know. The film also takes substantial opportunity to explore the working and personal relationship between Bond and his well-known superior M. by casting Judi Dench in a more motherly role this time around, Skyfall finds its heart in the relationship between the pair. As the two look over the beautiful scenery of Scotland, their conversation isn’t one of business. The subject is Bond and his life before the agency. M’s remarks are hollow on the surface, but it is Dench’s delivery where she finds something truly personal between the two characters. This dynamic helps build up one of the series most heartbreaking finales. And the series has had its fair share thus far. One of the hallmarks of the 23rd entry is the breathtaking cinematography provided by the legendary Roger Deakins. The use of lighting and color is so crucial to this film’s success, that it is even used as a plot point: Bond keeps his presence unknown from an assassin by hiding behind the shimmering glass that is reflecting the light of Hong Kong. The single take of the fighting silhouettes that follow shortly afterwards is technically flawless. And as Bond enters the casino in Macao, it is nothing but sheer visual bliss. Even the simplest scenes look beautiful, like M’s office. Skillfully winking towards the stylized 60s office and giving it a modern feel through by its framing and lighting. It’s within this final scene of the film where everything comes full circle. Once Bond has dealt with the terrorist threat once and for all, and has proven his worth to the British Intelligence, he walks into the room all too familiar to Bond alumni. A scene the casual Bond fan would find rather unremarkable, but to us, it is punctuation of the film’s thesis statement. To see the scene unfold on opening weekend stunned me to my core. I walked out of the theater with the biggest grin on my face. If James Bond was brought back from the brink in 2006, then it was with Skyfall that his resurrection was complete. First and foremost, James Tracey (@James_at_movies) is a movie lover. Not the oldest of Bond fans, he is of vocal one. He studies film in his native city of Windsor, Ontario, writes periodically for www.zombiesquirrel.com (@ZombieSqwrl ) and edits films like this one (https://www.youtube.com/watch?v=4tGcdODpmkI). Also, he LOVES cats. Favorite Bond Girl: Diana Rigg. Hands Down.